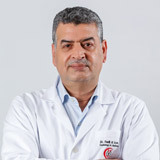 Dr. Adel received his M.D. from Elite University, Heidelberg, West Germany. 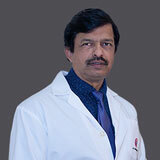 He also obtained his German Diploma in Rescue and Emergency Medicine and PhD in Cardiology with years of scientific research publications in Cardiology and Electrophysiology at the University Heidelberg, West Germany. 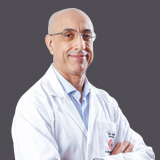 Dr. Adel has years of working experience and teaching at the University Hospital, Heidelberg as well as experience in leading position and head of interventional section of several large teaching hospitals in Germany especially in invasive and non-invasive Cardiology. 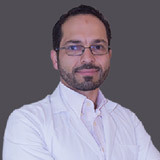 Dr. Adel's areas of expertise include cardiovascular interventions (Angioplasty + stenting of coronary arteries, peripheral vessels including renal + carotid arteries), IVUS of coronary arteries, Hemodynamic studies and myocardial biopsy, implantation of ICD, Pacemaker and CRT devices, non-invasive diagnostic (echocardiography with TEE, Doppler/Duplex sonography, Abdomen/Thyroid sonography and X-ray diagnostic), atrial septum occlude devices, AV-Ablation, Rehabilitation and physical therapy. 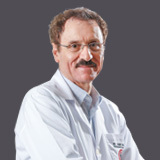 He has several publications in German and International famous journals and is on the German Board in Internal Medicine, Interventional Cardiology, Rehabilitation and physical therapy. He is also a member of the German Society of Pulmonary Hypertension, Internal Medicine and Cardiology, as well as the European society of Cardiology.